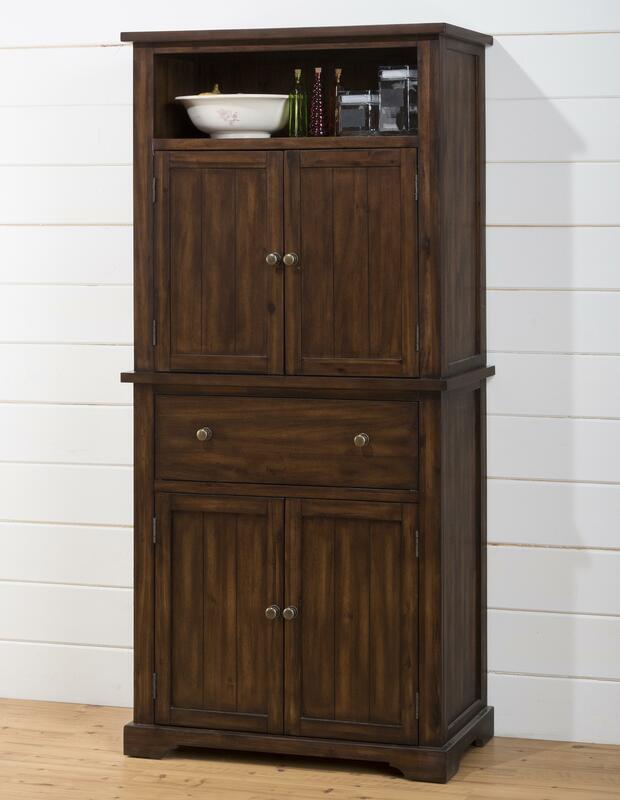 Trending style merges with functionality and affordability in this kitchen and dining room storage cabinet. Since times that extend beyond memories, china cabinets have been a favorite in family homes for storing glassware, plates and silver. 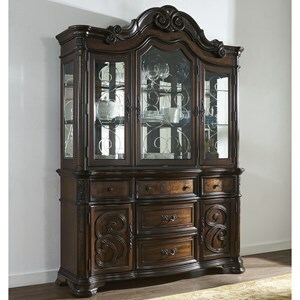 Today, many find themselves seeking the luxury and beauty of a china cabinet but have little space to actually place the item. That is where this kitchen cabinet comes in. Reflecting all the elegance of larger cabinets, this piece will assist you in accomplishing the style you long for while fitting into areas that are more compact. This cabinet features four shelves behind two doors in the hutch with a built-in chalkboard and corkboard for reminders and recipes. The cabinet base has one drawer and two doors with two shelves behind. A solid acacia construction keeps this piece sturdy and affordable while a Cooke County finish provides a rich and luxurious color tone. Choose this cabinet to keep things organized so that you can stay focused on enjoying life’s simple pleasures. The Cooke County Dining Cabinet with Chalk and Cork Board, 4 Shelves and 2 Drawers by Jofran at Great American Home Store in the Memphis, TN, Southaven, MS area. Product availability may vary. Contact us for the most current availability on this product. 581-98 Cabinet Top 1 36" 18"
581-99 Cabinet Base 1 36" 18"
Handles & Hardware Small hardware knobs. Case Detail Neo-classic styled legs and bases. Storage Four shelves behind two doors, one drawer, two shelves behind two lower doors and two open storage spaces in cabinet top. Description: Top Smooth finished table tops. Case Construction Pieces in this collection are made from solid acacia and acacia veneers. Welcome to Cook County. A space where you gather together with friends and family to celebrate the joyous occasions in life. A space where the hassles of the day step aside to make room for relaxed meals and casual conversation. These are the feelings that this dining room and kitchen collection conveys. Designed for the family that seeks style and function at affordable price points, this kitchen storage collection has it all. 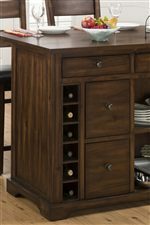 Storage pieces are designed to represent trending styles seen in the home furniture industry and a construction of acacia veneers with a Cooke County finish. From drawers and doors to open storage compartments, this collection is ready to complement your home and make your day to day tasks a little bit easier. The Cooke County collection is a great option if you are looking for Traditional furniture in the Memphis, TN, Southaven, MS area.